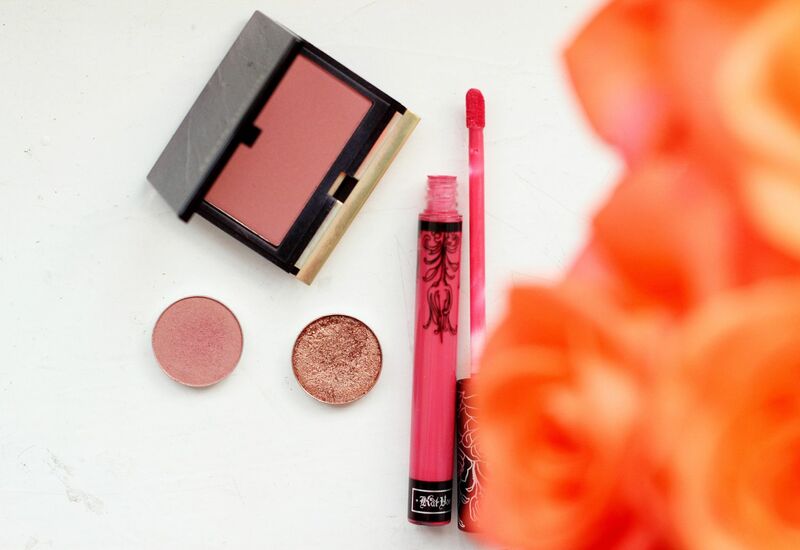 I am always drawn to pink shades of makeup – there’s something so pretty about all things pink, and I find myself reaching for complementary tones to keep things perky. Kat Von D everlasting liquid lipstick in Jeffree. Is a blog post really a blog post without a liquid lipstick? Yeah, I don’t know. Jeffree is my pink pick of the moment – it just screams spring and it’s one of those really fun colours to wear. Kevyn Aucoin powder blush in Helena. Kevyn Aucoin make some of my favourite powder products, and the peach blush Ariana is da best. Helena is its pinker sister, with the same silky formula – hello blendable and a flattering a flush. Nothing perks up your skin quite like a cool-toned pink.